A new addition to the Replication Initiative in 2019 is the Microgrid Playbook, a 12-module course developed and designed in a similar format to the successful Last Mile Distribution Playbook. Miller Center distilled best practices and insights from a few outstanding alumni microgrid enterprises to create a playbook that supports new or early stage microgrid enterprises to launch and grow faster and more successfully. The program is delivered by pairing microgrid entrepreneurs with experienced Silicon Valley executive mentors who coach them as they utilize the playbook materials to advance and scale their new businesses. 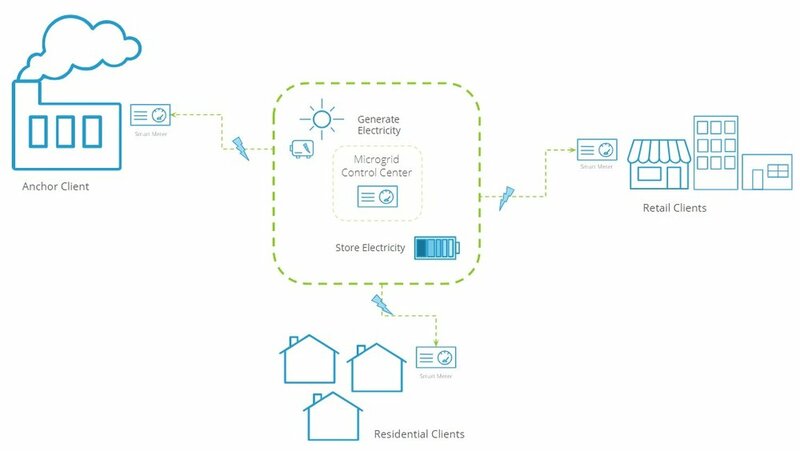 A microgrid (or minigrid) is a set of small-scale electricity generators (and possibly energy storage systems) interconnected to a distribution network that supplies electricity to a small, localized group of customers and operates independently from the national transmission grid. Thank you! Click here to download the Microgrid Playbook. Microgrids are particularly promising for extending power to remote/underserved areas. Miller Center’s research indicates that between 7,000 and 20,000 local energy enterprises are needed to make energy accessible to all 500 million potential consumers who currently lack access. This playbook is targeted at social enterprises establishing microgrids generating 20-75 kW and serving an off-grid customer base, which will help catalyze the growth of microgrid enterprises in line with the needs identified in our research. Starting any enterprise is risky. This playbook reduces risks of microgrids entrepreneurs by informing them in advance of many key insights earned through the successes and failures of others. Copy of Vero Grid Ltd.